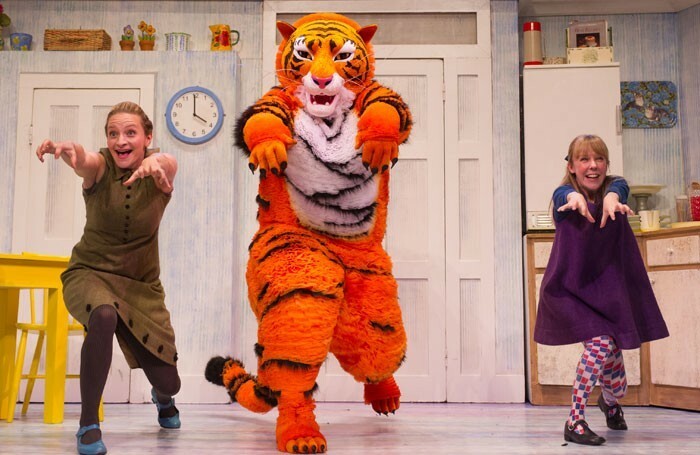 Introduce your kids to the magic of live theatre this summer, with one of these top London theatre shows for children. 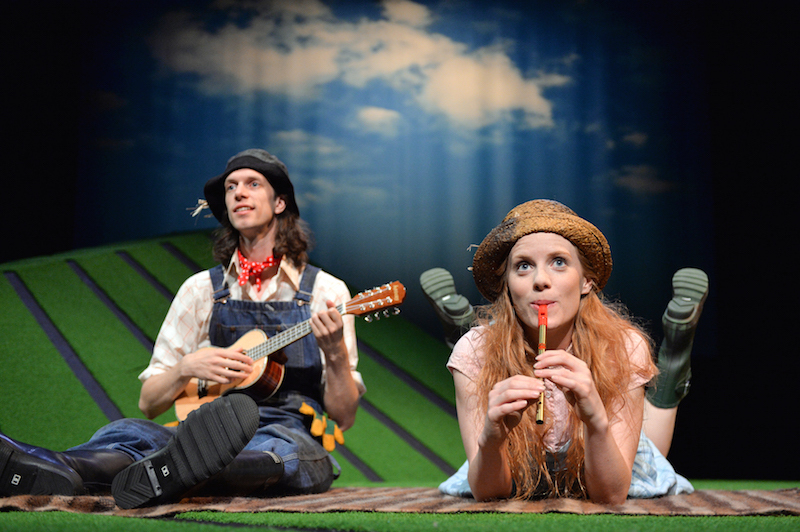 An epic musical love story promising wit, drama, and wedding bells, The Scarecrows' Wedding is a brand-new show based on the best-selling book by Julia Donaldson and Axel Scheffler. 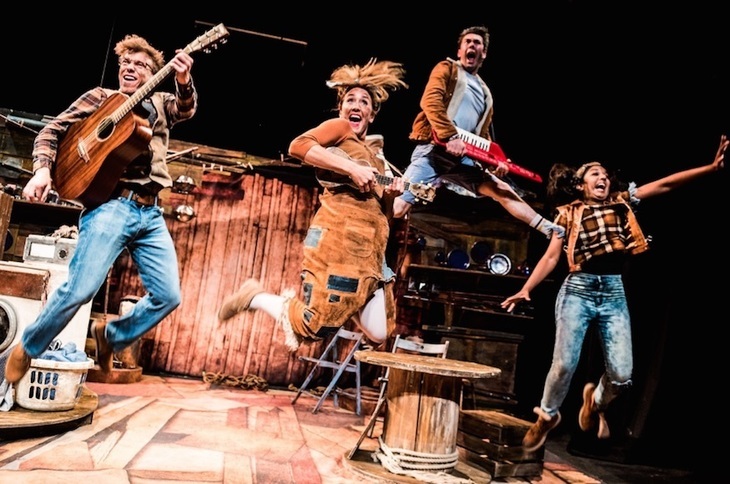 The story of Barney who meets a caveman called Stig, Stig of the Dump is a fast-paced interactive show full of exciting storytelling, fun songs, innovative puppetry and lots of chances to join in. 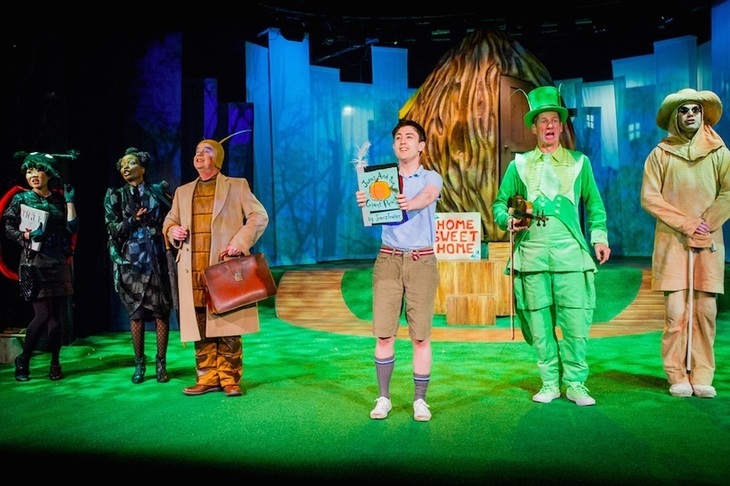 The first of a few Roald Dahl stage adaptations to make this list, the Polka Theatre's James and the Giant Peach is a marvellous adventure featuring excitement, songs, laughter and some amazing friendly insects. Join Mouse on a daring adventure through the deep, dark wood in this popular magical, musical adaptation of Julia Donaldson and Axel Scheffler's classic picture book. The Gruffalo Live is a popular favourite that's been around since 2001: here's a Londonist review of the show from last year. This specially created 'youth version' of the Tony Award-winning musical The Secret Garden features a cast of 20 children and four adult actors. It retains all the nostalgic charm of Frances Hodgson Burnett’s original classic story of the orphaned Mary Lennox, and her invalid cousin, Colin. All hands on deck! 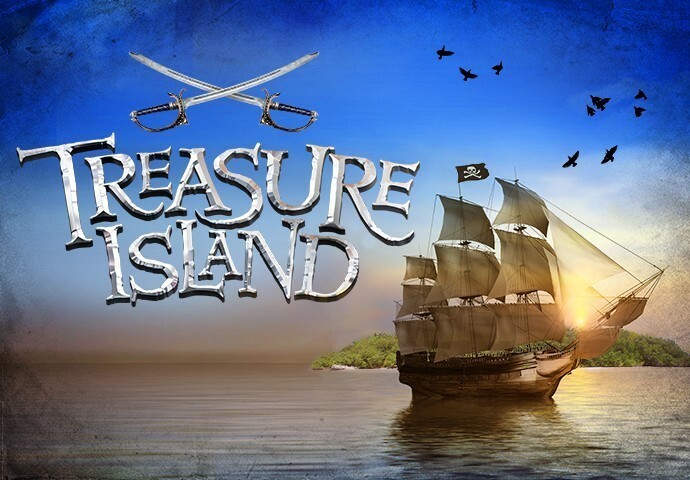 Head to St Paul's Church in Covent Garden to see a new adaptation of Robert Louis Stevenson’s swash-buckling novel in an outdoor promenade production. Pirate costumes encouraged. 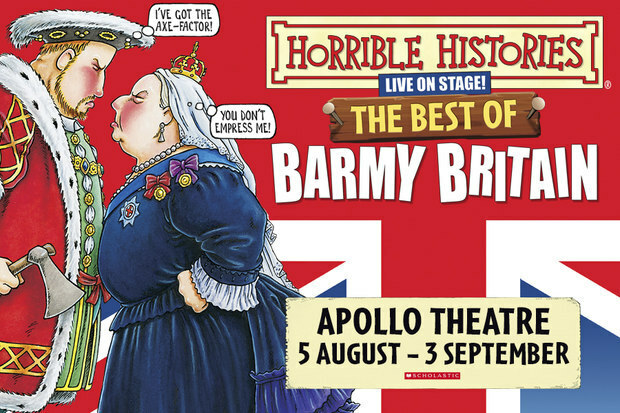 Your chance to meet the amazing and hilarious famous characters from history returns to the West End this summer. 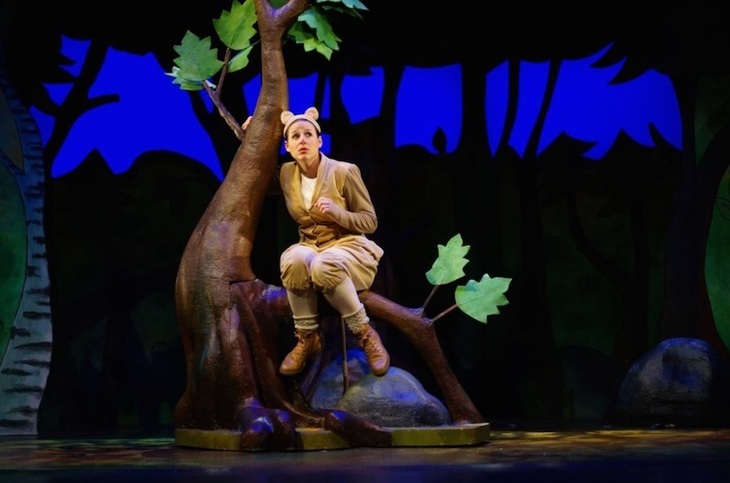 The stage adaptation of Judith Kerr's inimitable classic returns to London, with plenty of music, magic and clumsy chaos. Fly away with Air Play this summer: watch flying umbrellas, giant balloons, floating kites and the biggest snow globe you've ever seen at this amazing family-friendly contemporary clown show. Another stage adaptation from a book by Michael Morpurgo (War Horse, Private Peaceful) 946 — The Amazing Story of Adolphus Tips challenges everything you think you know about the D-Day landings, using music, puppetry and more to tell a story of war, prejudice and love. Hot on the heels of the recent film adaptation of Rudyard Kipling's classic tale, this stage version of the Jungle Book is another take on the story, featuring street dance, circus, a beat-boxing Baloo, graffiti artist Bagheera and a skateboarding Wolf crew. Yikes! Everyone's favourite dog detective needs to crack the spooky case of a trouble-making ghost, haunting a West End theatre. 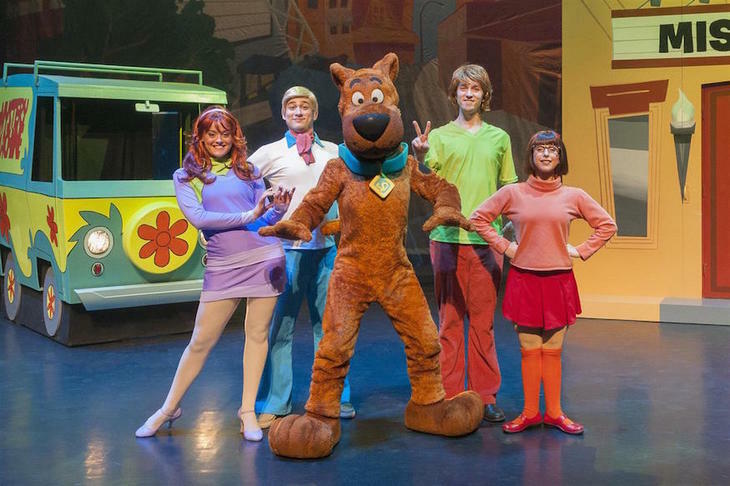 In this new family musical, Scooby-Doo and the Mystery Inc gang have been called upon to help solve an epic mystery. Head to The Scoop to sample a play based on Russian and Eastern European fairy stories: Prince Ivan and the Grey Wolf features cunning tricksters, talking animals, heroic fools and foolish heroes in the same way as many British folk tales do; the result promises to be familiar yet mysterious and strange. Part of London Bridge City Summer Festival, Prince Ivan and the Grey Wolf is free to watch. While the above shows are generally in town for a short run, those listed below are our long-running favourites for kids. Don't forget, there are plenty of good deals to be had on theatre seats over the summer. Check out www.kidsweek.co.uk to find out more. Another amazing Roald Dahl adaptation, Charlie and the Chocolate Factory The Musical is a visual delight with chocolate rivers, an army of dancing squirrels and some very peculiar Oompa-Loompas. It's one of the West End's longest running shows: the combo of Elton John's music and Disney's brilliant story and visuals is clearly a winning one. And you just know any kids seeing the show for the first time will be completely enchanted when those amazing puppet animals first appear. The final (and best!) London show adapted from a Roald Dahl story on our list, Matilda is, quite simply, brilliant. Go and see it; you won't be disappointed. Even if you've seen it before, you should see Stomp in summer 2016, as the updated show promises new routines, new choreography and new music. Perfect for kids interested in modern dance. The newest addition to our list, Disney's Aladdin is perfect summer fodder for kids who love pantos, but can't wait until Christmas. Big sets, big musical numbers and a great big happy-ever-after love story at the centre of it all. Amazing costumes, stunning 'belt' musical numbers, wit and witchcraft mean the incredible 'untold' story of the witches of Oz continues to delight West End audiences after almost 10 years in the West End.